Jetmore is among the fortunate—but rarer and rarer—small rural communities that has something vital to the town’s survival: its own grocery store. 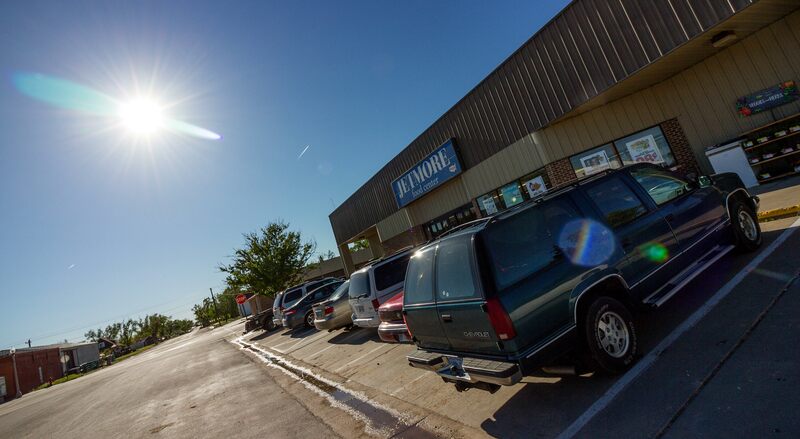 The Jetmore Food Center serves a community of around 900 Kansans in the southwest corner of the state, with an impressive selection of foods. They have a wide variety of fresh produce, in-house butchered meats, competitively priced groceries, and even a pizza shop, said Lea Ann Seiler, Director of Hodgeman County Economic Development. 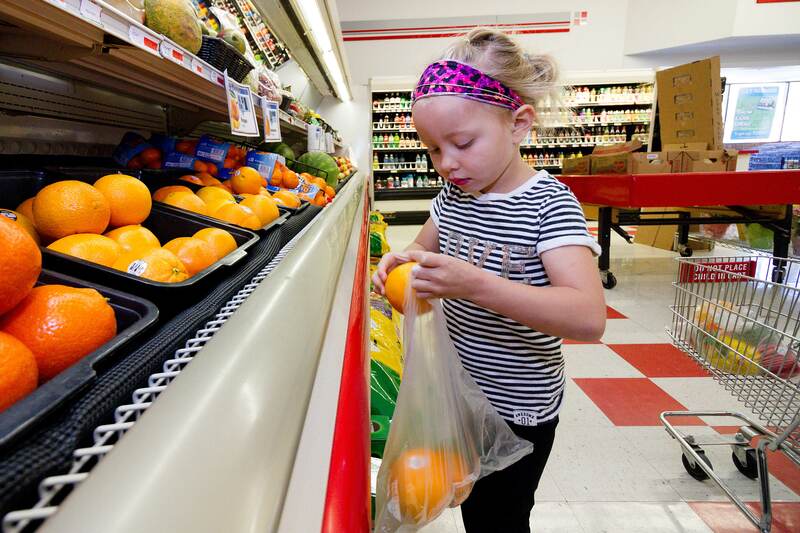 The Healthy Eating, Rural Opportunities (HERO) Initiative is a pilot project focused on supporting community-based strategies to address food access needs in rural areas, such as strengthening local grocery stores. The initiative started in 2017 by supporting planning efforts in nine communities, totaling $150,000 in Sunflower Foundation grants. These planning grants are intended to provide community teams with the resources and technical assistance needed to explore and develop sustainable strategies for increasing access to healthy foods. Find more information here. They also have all kinds of other miscellaneous items that are priceless to have available just a few blocks away, she said, including: a variety of bath and cleaning items, pet foods, baby products, toilet paper, greeting cards, and other things you sometimes need in a pinch. If the Food Center were to close like so many other small-town grocery stores have, Seiler said, it would be devastating. “We really depend on that store. When word got around last year that it may be at risk of closing, people were just terrified,” she said. 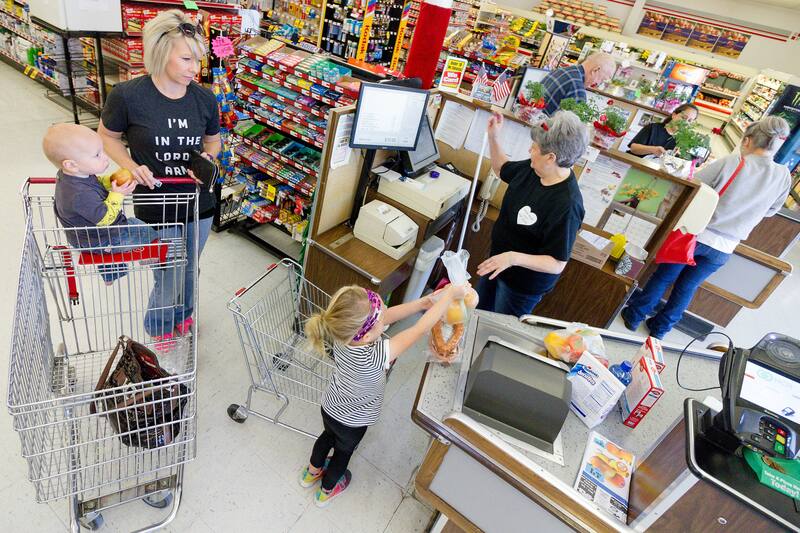 Grocery stores are incredibly important to the vitality of rural communities, said David Procter, Director of the Rural Grocery Initiative (RGI) at Kansas State University. Shopping at the Jetmore Food Center are (from left) Mac Ruff, Candace Ruff, MadiLynn Ruff, clerk Julia Chambers, and (in back) Norm Pitts and Amanda Kasiska. Nearly 5 million rural citizens across the United States are living in what is known as a food desert, or an area with limited access to food. In Kansas alone, more than 40 grocery stores in rural communities have closed during the last nine years. “The trend does not bode well for the health and wellbeing of communities at risk of losing their local grocery store,” Procter said. Staff members of the Jetmore Food Center. Like many in the community feared, Jetmore Food Center was indeed—and is still—at risk of closing, said Mark Wellbrock, who owns and operates the store with his wife, Linda. 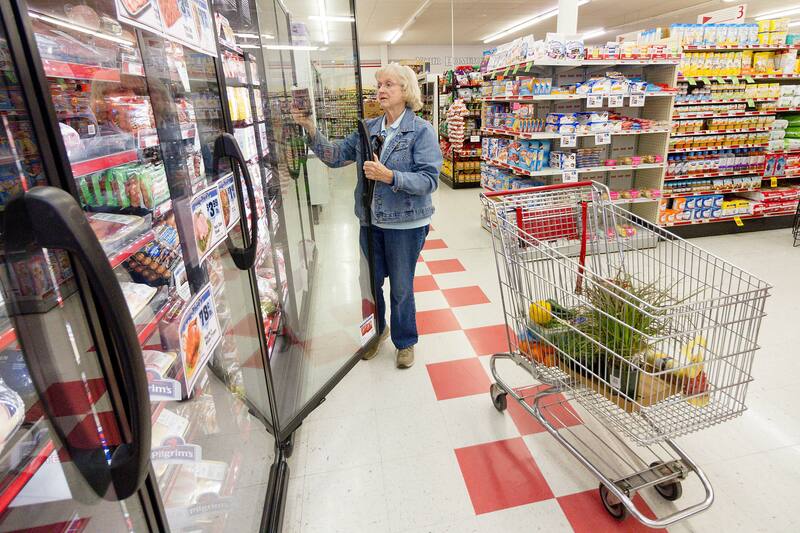 Wellbrock cites a few factors that have led Jetmore residents to buy their groceries elsewhere. “Of course, a lot of people work out of town, and then there’s youth sports events that take people out of town even on weekends,” he said. Dodge City—population 27,000—is 30 miles away and has a Walmart Supercenter, as well as several other discount grocers. There’s even an Asian market in Dodge. Jetmore Food Center employee Julia Chambers (right) with customer Mary Ravenstein. “I understand how it happens, I do,” Wellbrock said. “I’m sure a lot of people don’t give it that much thought. You know, if you’re in Dodge anyway, why not buy the whole week’s—or a whole month’s--worth of groceries at Walmart while you’re there? Well--I'll tell you why: because if too many people keep doing that, every small town grocery store is going to go out of business. It’s a direct cause and effect,” he said. The other big factor that could help sustain the Jetmore Food Center is if businesses or organizations in town would place bulk food orders with Wellbrock, instead of with national food distributors. 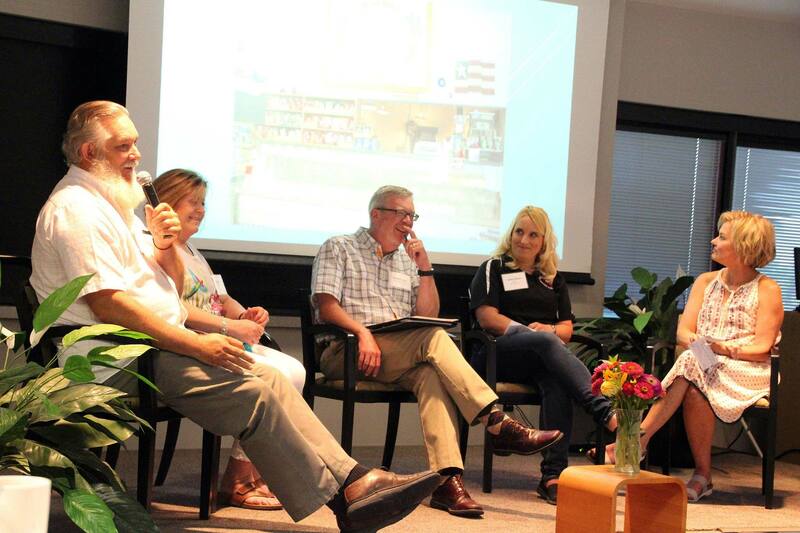 A panel of grocers at the 2017 Healthy Eating Rural Opportunities Learning Collaborative: Fred and Vali Smith (left) of Tipton Grocery in Tipton, pop. 210, and Jenny Osner of Hired Mans Grocery & Grill Inc in Conway Springs, pop. 1,272 (second from right). Debra Nelson from Garden of Eden Little River, pop. 557 (right). David Procter of Rural Grocery Initiative is in the center. Fortunately, Wellbrock and his staff at the Jetmore Food Center aren’t the only ones working to make sure the town keeps its grocery store. Lea Ann Seiler and Hodgeman County Economic Development along with GROW Hodgeman County have formed a community task force to find practical ways to make sure the Jetmore Food Center can be sustainable. Jetmore’s story is hardly unique among Kansas communities. Many other rural towns are at risk of losing their grocery store—or already have—and are taking their own steps to find solutions unique to their local circumstances. That is why in 2017, Sunflower Foundation began partnering with such communities to support their existing grassroots efforts. The HERO Initiative (Healthy Eating: Rural Opportunities) was launched in January with nine initial pilot projects across the state: Allen County, Crawford County, Harvey County, Hodgeman County, Marion County, Plains, St. John, and two projects covering a 10-county area in northwest Kansas. These first HERO grants totaled $150,000, plus an $81,000 grant to K-State's RGI, which is providing technical assistance and resources directly to each community. The initiative also includes Learning Collaboratives that bring grantees and partners together for multi-day conversations on microtopics that implicate their bottomlines, such as marketing healthy foods to rural communities, providing loyalty-inspiring customer service, offering in-store cooking demos and so on. Working with RGI, Sunflower identified multiple communities and counties that either met the USDA definition of a “food desert,” or would meet the definition if a remaining grocery store were to close. As part of the invitation to apply, each community group was asked to assemble a leadership team representing a wide array of stakeholders (for example, local grocers, producers, schools, churches, and health professionals), if one didn’t already exist. The planning projects are intended to set the stage for successful implementation of a two-pronged approach: assessing and studying technical data for long-term feasibility, while also gathering community input to foster local buy-in. 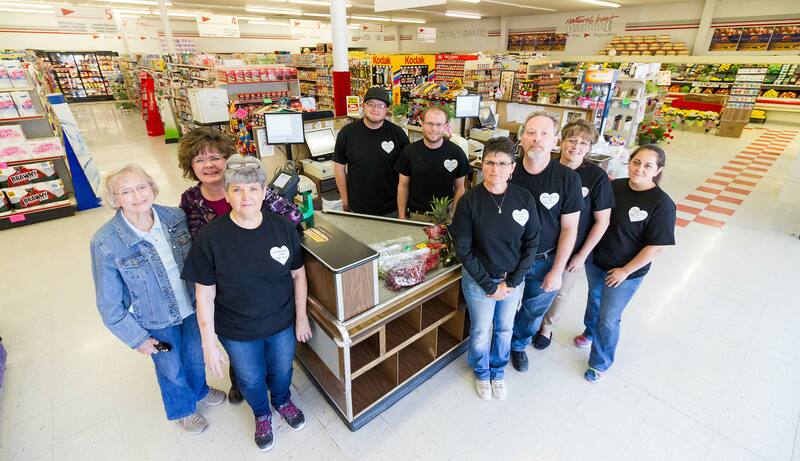 In some communities, this means transitioning a struggling grocery store into a non-profit co-op model, or boosting the store’s revenue by connecting purchasing to the school or hospital. Other communities are focusing on the local food systems and what it takes to actually get fresh produce into a grocery store or “micro-markets” for towns without stores. 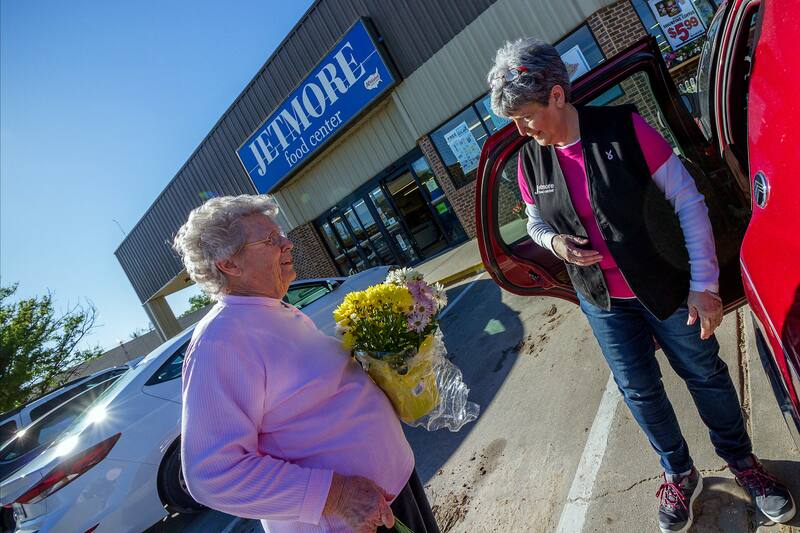 In Hodgeman County, efforts are focused on finding ways to make the Jetmore Food Center more sustainable, including efforts to raise awareness about the importance of shopping locally and an effort to find a potential bulk purchasing solution with Jetmore’s hospital. David Procter, RGI’s Director, sees particular promise in both approaches but particularly the latter. Procter said Sunflower’s HERO Initiative not only gives the communities involved critically needed resources, but also signals to them that they are not alone in their own rural community's struggle to find solutions to this challenge. When RGI first started its work in 2007, Procter and his team at Kansas State University identified 213 grocery stores in Kansas communities of 2,500 people or less. Today there are 186.